You may recall playing with walkie-talkies as a kid; a pair of black inexpensive walkie-talkies allows more than one kid to have hours of fun. But if these old school walkie-talkies are what you think about when you hear ‘2 way radios,’ think again. Radio is actually the oldest form of communication on land, but since the first handy-talkies, 2 way radios have undergone many upgrades. Today, a radio system can offer a world of beneficial features that many people are surprised to find out about. A 2 way radio system will provide your business with an affordable and reliable source of communication, but it can also do a whole lot more. 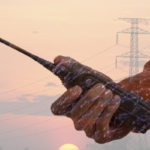 Here we identify and explain 5 things 2 way radios offer that may surprise you. In most cases it takes less time to send over a voice message than to type out a text, hence why push-to-talk radios are so time efficient. Yet, in some instances it is more effective to text, for example if one party is hard of hearing, or if the location is too loud to hear. There are multiple 2 way radios that include text message capabilities. 2 way radios can offer a nice platform for texting; some are even equipped with colored screens, and number keys to type with. Companies discuss private, low-key information on a regular basis. Even employees that hold lower level jobs at a company know a great deal of insider information. Privacy is a large concern for many businesses, and so too is theft. 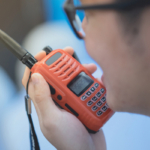 If a radio-system ends up in the wrong hands the results could be devastating, thankfully some 2 way radios are equipped with a great deal of privacy and security features. Some 2 way radios can be disabled if the device leaves the designated area or is reported as stolen. If a ‘stun’ signal is sent to a device, it will no longer be able to receive or send out messages. This can help keep your privacy secure, as well stop theft. Once the radio is retrieved, a ‘revive’ signal is sent to the device and it will be operative again. You never want to be left in the dark about what’s going on at your business, especially if an issue arises, and so the more things that you can record, the better. Did you know you could have all 2 way radio transactions continually recorded and available for play back? This gives businesses the added advantage of having transactions recorded so that if anything arises, an exact transaction of words is retrievable. If need be, these recordings are approved to stand as evidence in a court of law. Some 2 way radios come with GPS tracking so that all devices can be tracked. GPS tracking offers you the chance to see travel information charted on graphs, reroute a previously traveled path, or show locations in real time, all according to the location of 2 way radios. This can be beneficial to your business in many different ways, from preventing theft of radios to keeping up with company productivity. It can also ensure the safety of your workers when they are alone on a mission. Seeing travel logs of tracked distances can also help institute new ideas for more cost effective methods of conducting business. What is your plan if an emergency arises? Communication is so important in times of emergency, although cell phones and landlines can easily become compromised during all kinds of emergencies. Not only are radios able to withstand virtually any disaster and still work to communicate, certain radios also come with fleet-wide emergency notification. The moment something urgent comes up, it’s important to contact your team all at once, and as soon as possible. When poor communication ensues, an emergency can quickly become more desperate. 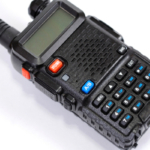 Thankfully, some 2 way radio systems come with fleet-wide emergency notifications. If your system is equipped for this, a time of emergency is no longer a time to panic. Instead, your entire team can be alerted collectively as a group, even if they are in vastly different locations. In other words, a 2 way radio is also a cost-effective form of security. 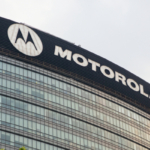 2 way radios make it easier for employees to quickly communicate throughout the workday. As a result of better communication, companies witness enhanced productivity, cost savings, and less waste. Plus, 2 way radios are far more affordable than pricey cell phones. Golf courses, educational campuses, large retail operations, there are so many different businesses currently reaping the benefits of a radio communication system. Plus, the additional services you can obtain with 2 way radios make your business more secure, alert, and safe. At Highland Wireless we offer the very latest 2 way radios, along with superior technical services and support. Stun and revive, GPS tracking, speed notification, voice recording and more, we do it all. Contact us today to learn more!